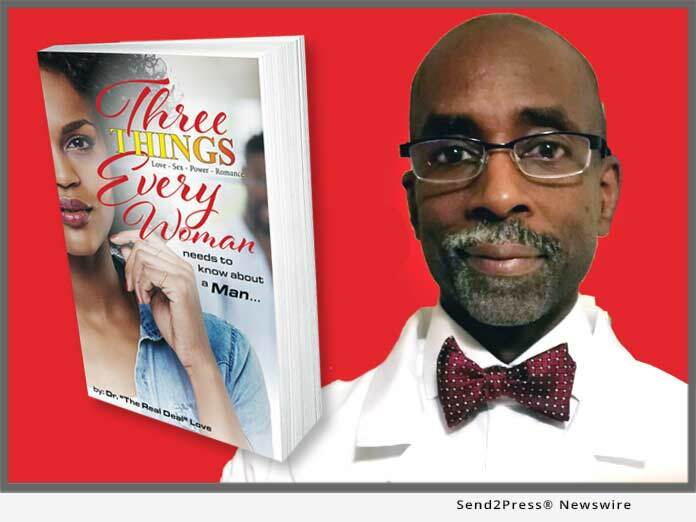 PHILADELPHIA, Pa., Feb 06, 2019 (SEND2PRESS NEWSWIRE) — Edward Johnson aka Dr. Love – that’s Dr. the Real Deal Love – founder of Love University, and author of the workbook, “3 Things Every Woman Needs to Know about a Man” (ISBN: 978-1928681526) is quickly gaining credibility in the relationship industry and rapidly becoming one of the premier authorities on dating, love and romance. When women attend Love University, they’re given access to what Johnson calls MAOS – Most Advanced Operating System – in love and romance. They’ll learn about things like “the Velocity Factor” which touches on three key aspects of a relationship: lust, attraction and attachment. He’ll show women how to build desire and transmute a behavior that they want to elicit in a man. He reveals how women need to communicate in a man’s code rather than his conduct.